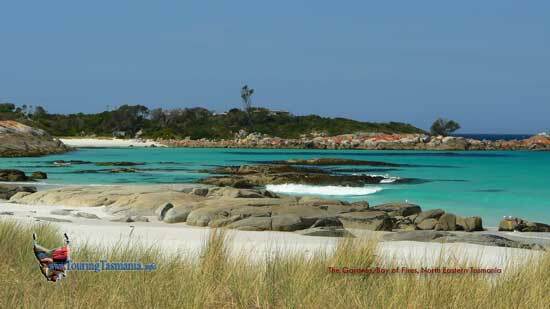 The North East corner of Tasmania is another beachside 'holiday' area of Tasmania. From the rich farming community of Scottsdale and Ringarooma to the beachside resorts of Anson's Bay, Scamander and the Bay of Fires the north east has plenty to offer. The mountain ranges from Mt Victoria just south of Ringarooma to the Blue Tier and Pyengana further to the east, the North East also has a rich wilderness area to experience. The 'capital' of the area 'St Helen's' is rich in history and culture. The town hosts the 'Suncoast Jazz Festival' during the last week end in June every year. The mild winter climate along with national and international guests ensures it's success.